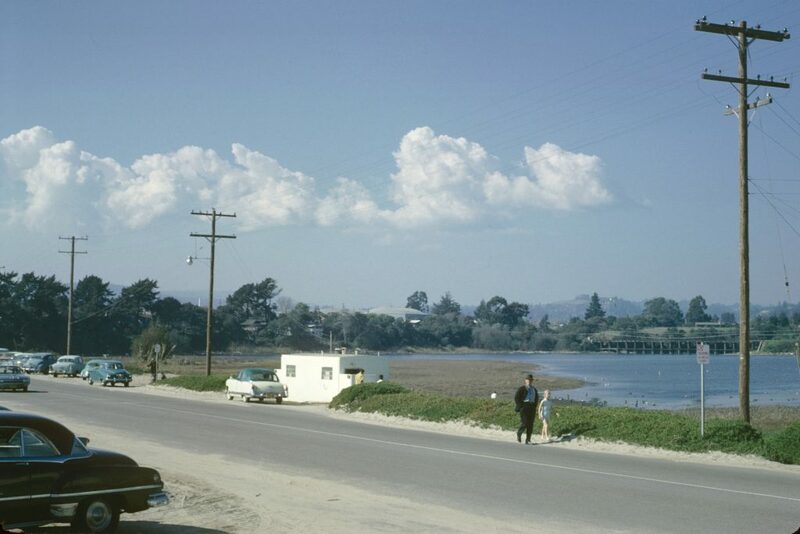 Local boaters, commercial fishermen, businessmen, and residents had sought the construction of a harbor in Santa Cruz County since before the turn of the century. 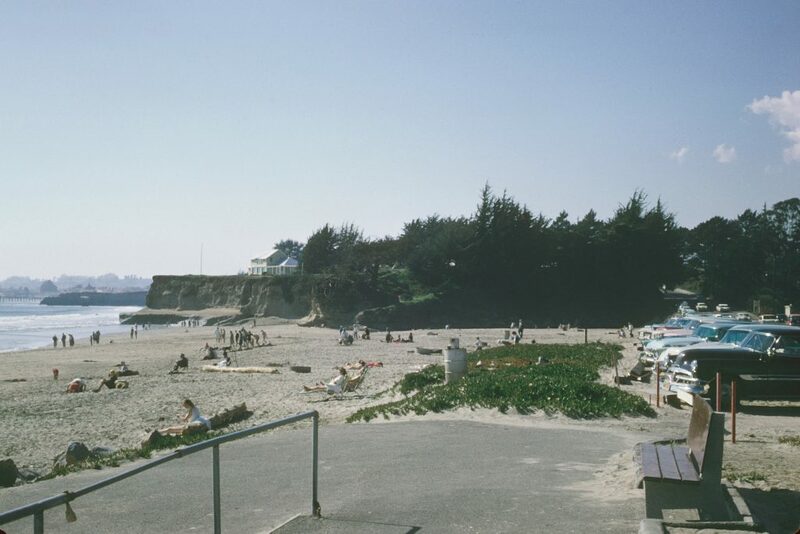 The Santa Cruz coast was first surveyed by the Army Corps of Engineers for a possible harbor of refuge in 1879. It was not until after World War II, however, that a strong enough local support group was organized to secure the attention and backing of the state and federal governments. 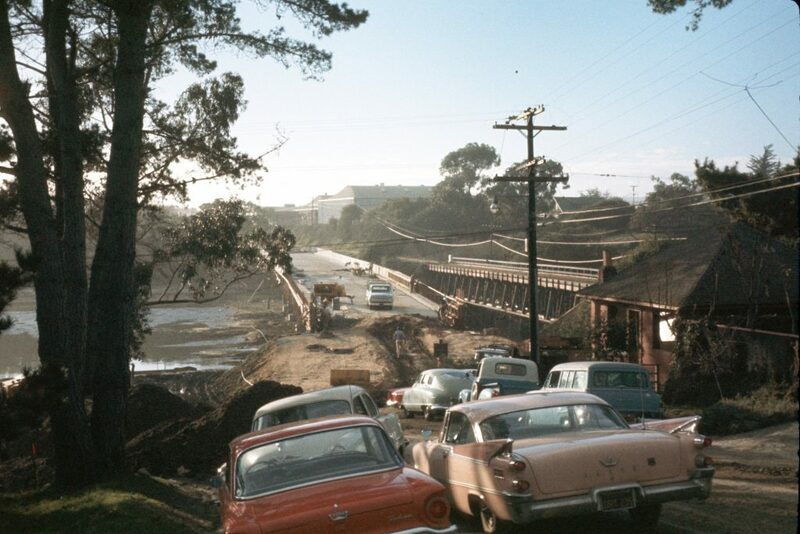 In 1949, Santa Cruz was resurveyed by the U.S. Army Corps of Engineers. 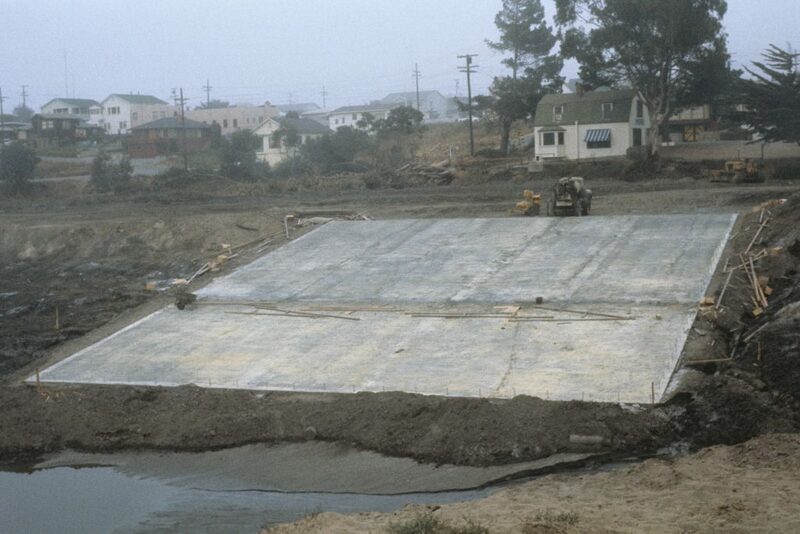 The Corps strongly recommended the formation of a local, special district to lead and administer the harbor development and to manage the harbor after completion. Citizen groups obtained 3,000 signatures and presented them to the County Board of Supervisors, who authorized an election. 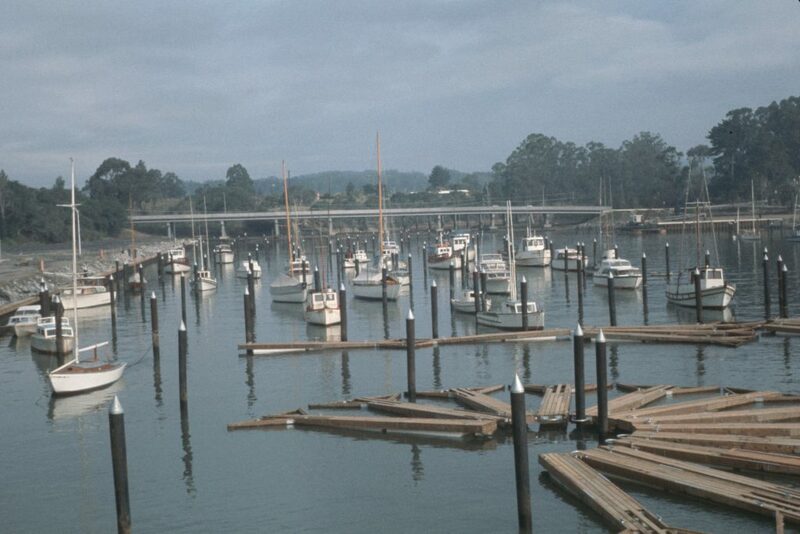 The election, held in 1950, officially formed the Santa Cruz Port District under the guidelines of the State of California Harbors and Navigation Code. 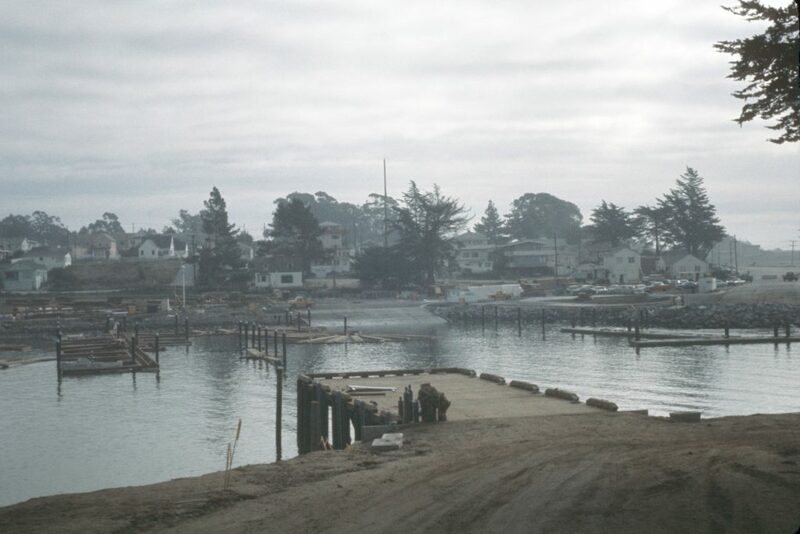 The purpose of the district was to provide and manage small craft harbor facilities in Santa Cruz County. Several sites were evaluated for the harbor, including both Neary’s and Wood’s Lagoons. Wood’s Lagoon (the other “Twin Lake” to Schwan Lagoon) was eventually selected by the Corps of Engineers. This site, however, has proven to be problematic, as there are no natural features to support a sheltered harbor entrance. 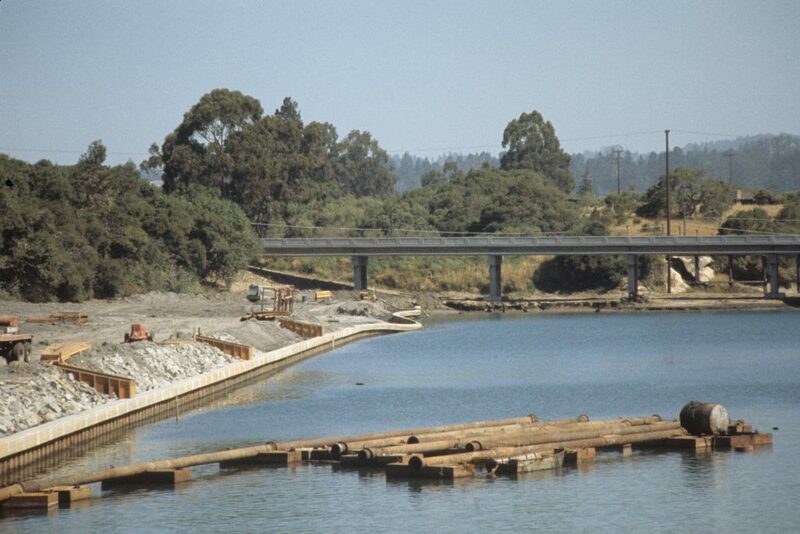 In fact, its close, down-coast and down-drift proximity to the San Lorenzo River mouth has had a major, negative impact on the harbor entrance. 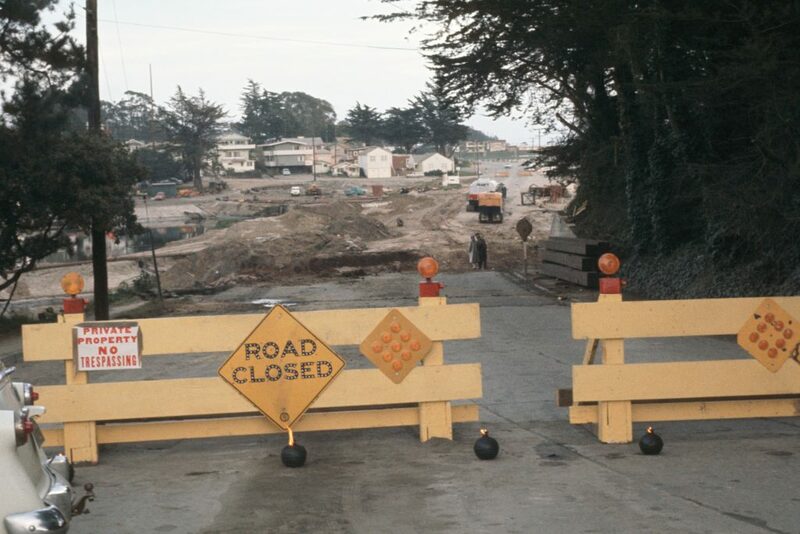 The original boundaries of the Port District were drawn to coincide with those of the Santa Cruz City Schools. 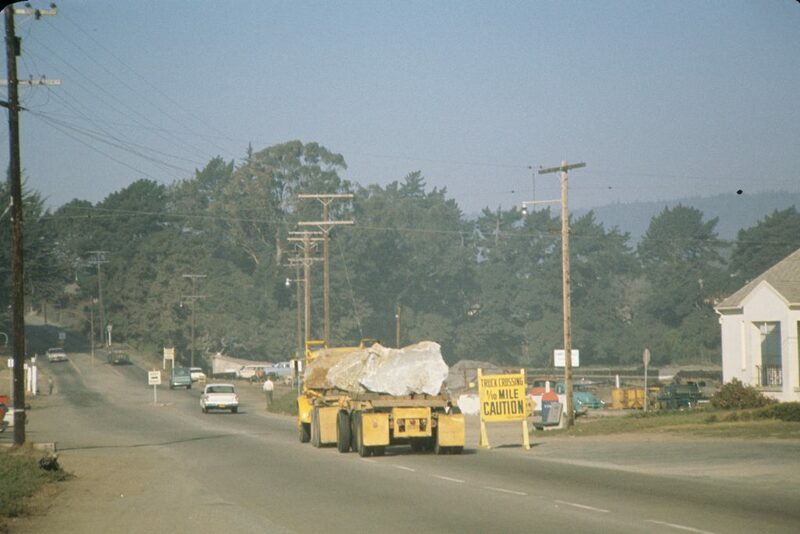 This boundary includes the entire City of Santa Cruz and most of Live Oak and Pasatiempo areas. 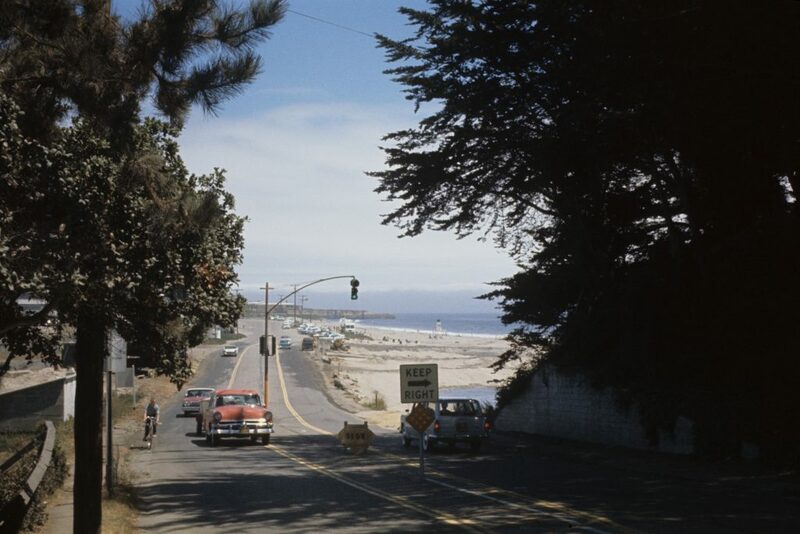 By legal definition a “Port District” may contain only one incorporated city, which in our case is the City of Santa Cruz. A 10 cent (per hundred dollars of assessed value) tax on real property in the district was also authorized by the election. 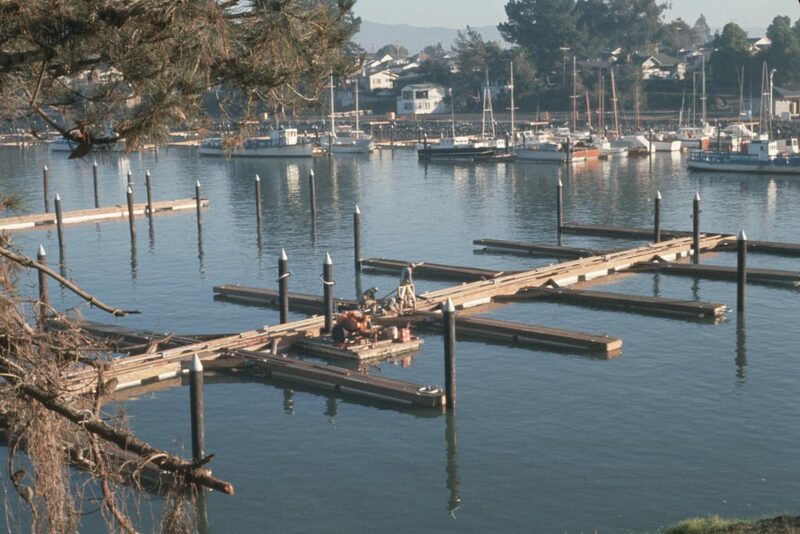 The funds generated by this assessment were viewed as “seed money” to provide start-up capital for the harbor and to create a business and recreational climate centered around boating that would stimulate the Santa Cruz economy and provide other forms of local tax income. 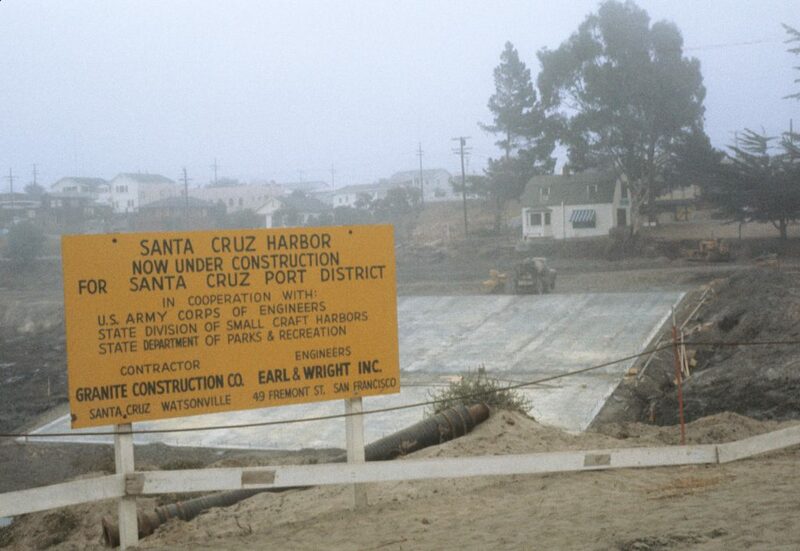 In 1958, with tremendous local and state support, HD 357 was passed and was the fundamental federal legislation that authorized the Santa Cruz Small Craft Harbor and Beach Erosion Project. There were several key concepts in HD 357 that have proved quite important to the Port District since 1958. 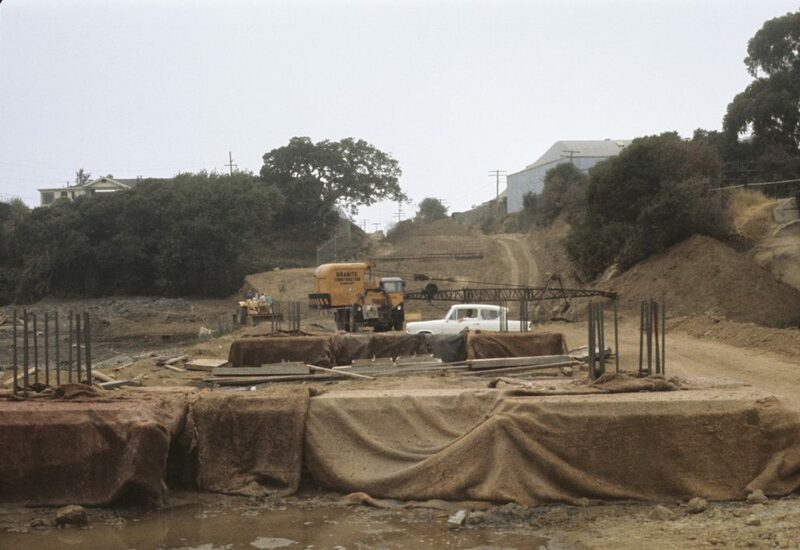 They are the concepts of littoral drift of sand; beach stabilization; annual federal dredging; federal ownership of the harbor entrance channel; and the eventual need for a permanent sand bypass system paid for by cost-sharing between the federal government and the Port District. 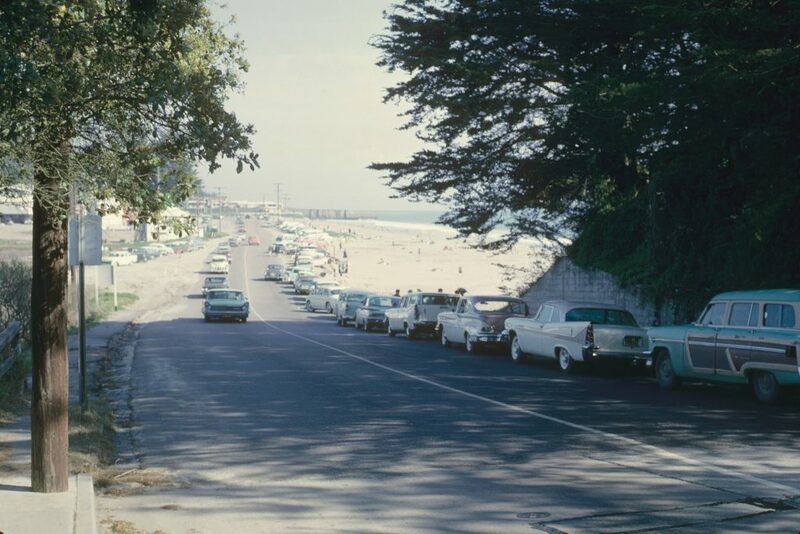 Between 1958 and 1960, the State Department of Parks and Recreation began acquiring land for the harbor itself and its supporting parking and concession areas. 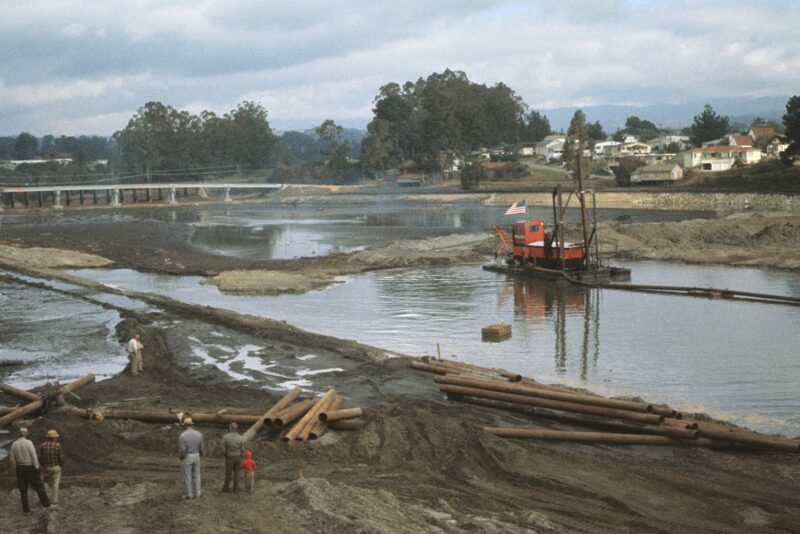 In 1962, Congress appropriated $1.6 million for jetty construction and the dredging of the original south harbor basin. 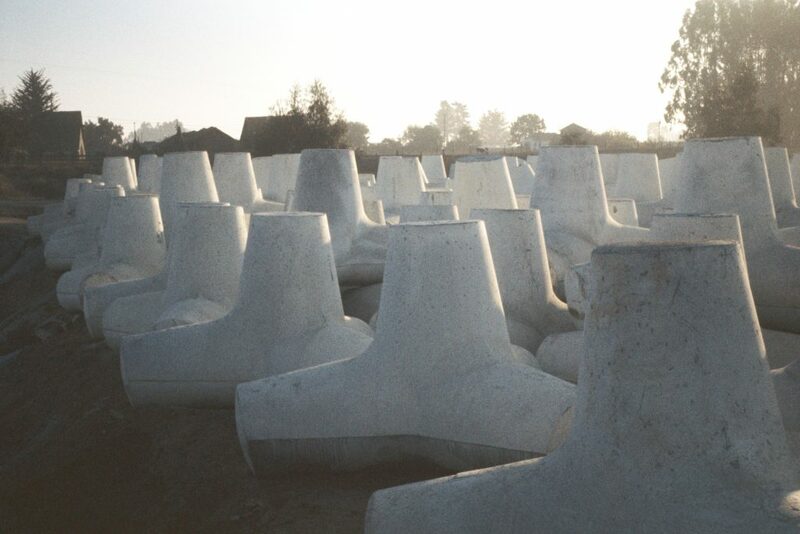 Loans from the State Department of Harbors & Watercraft (now called “Boating and Waterways”) were obtained, totaling $3 million, to pay for the cost of the pilings, docks, restrooms, and parking facilities. 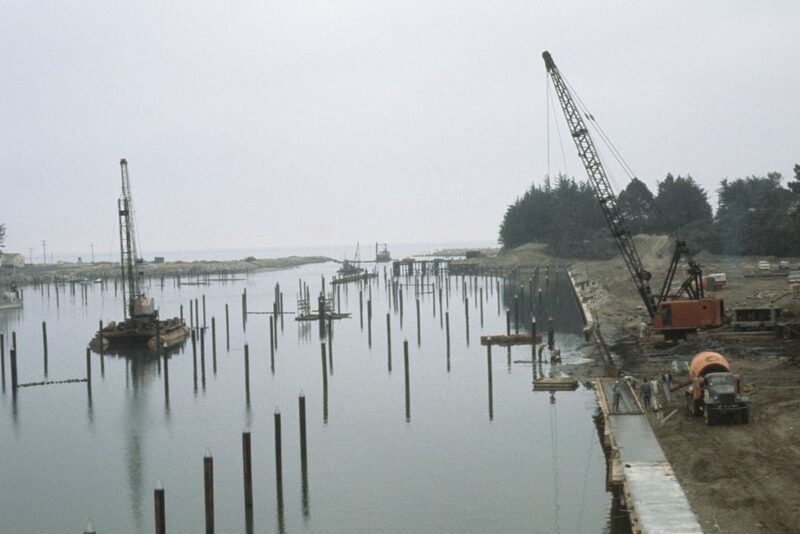 The local share (35.1%) of the federally-built jetty system was paid for by the Port District from property tax funds accumulated since 1951. 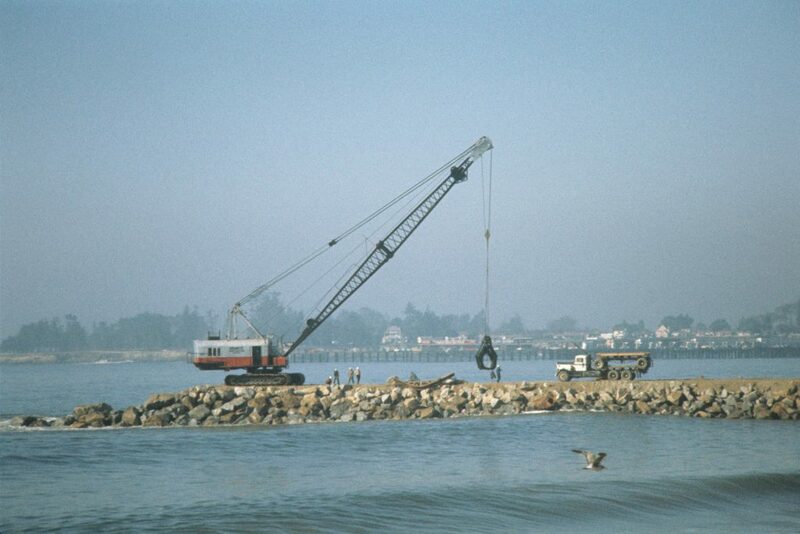 To grant these loans, the state required that Santa Cruz Harbor be built as a state or regional resource. 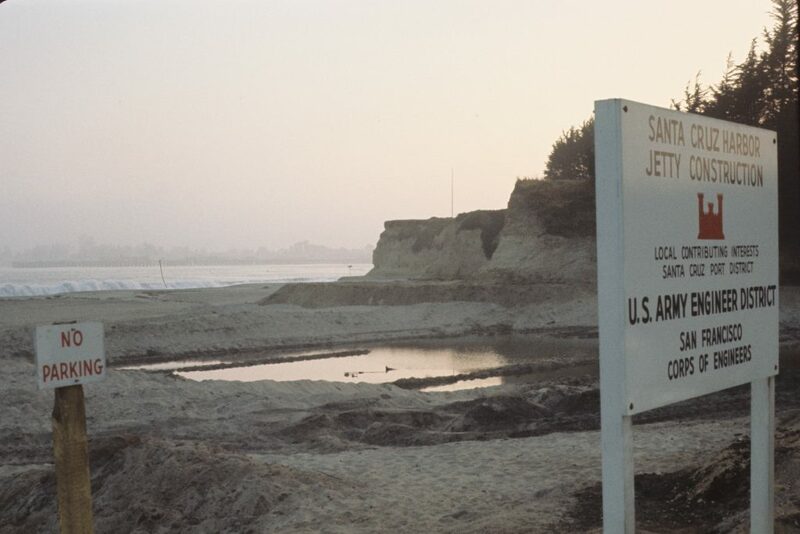 Hence, the Port District is mandated to provide equal boating opportunities to all residents of the state, not just Santa Cruz County or Port District residents. 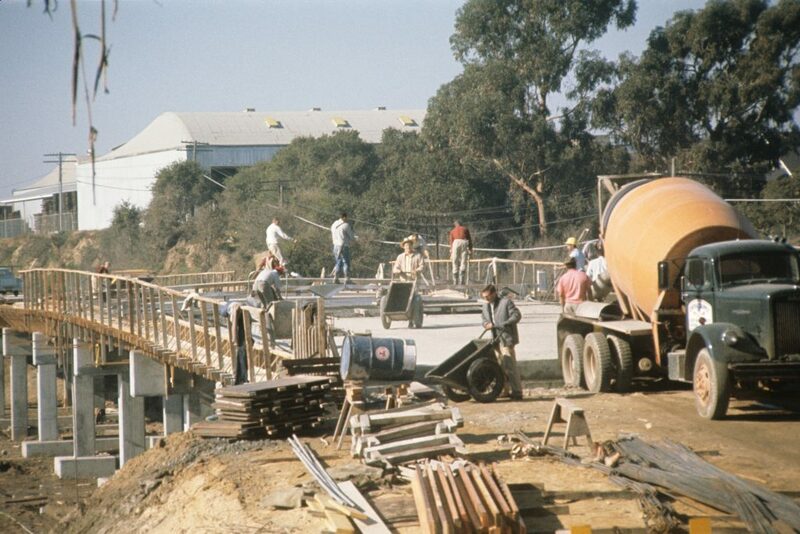 Construction actually began on the south harbor in 1962, with the facility being completed in 1964. 360 slips were dedicated. 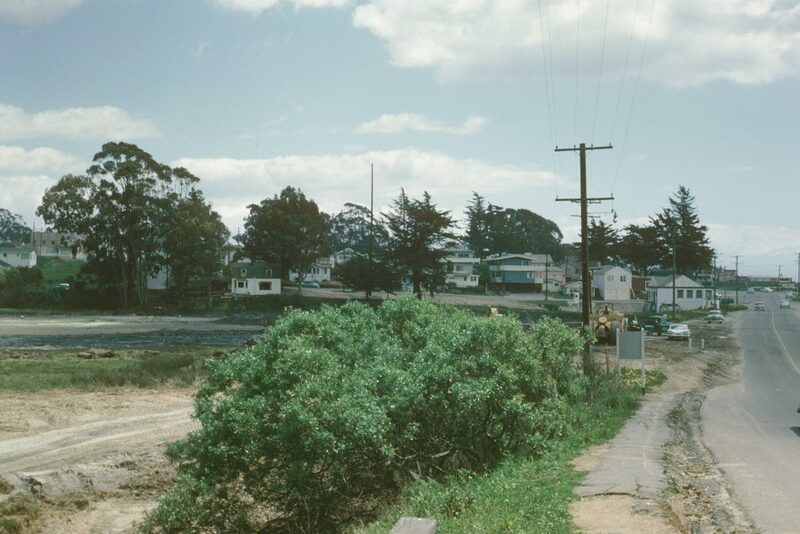 The south harbor proved to be a success and generated interest in expansion. 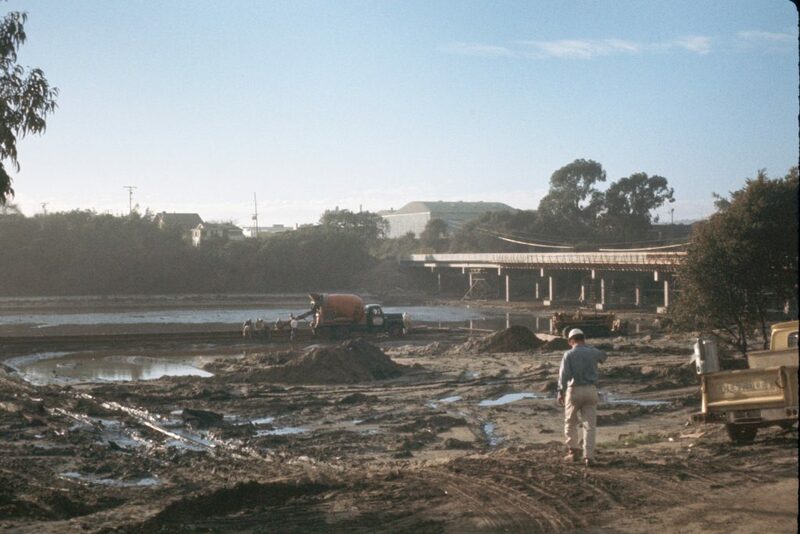 A state planning loan was obtained in 1968 to study the physical and economic feasibility of adding more slips north of the Murray Street Bridge. 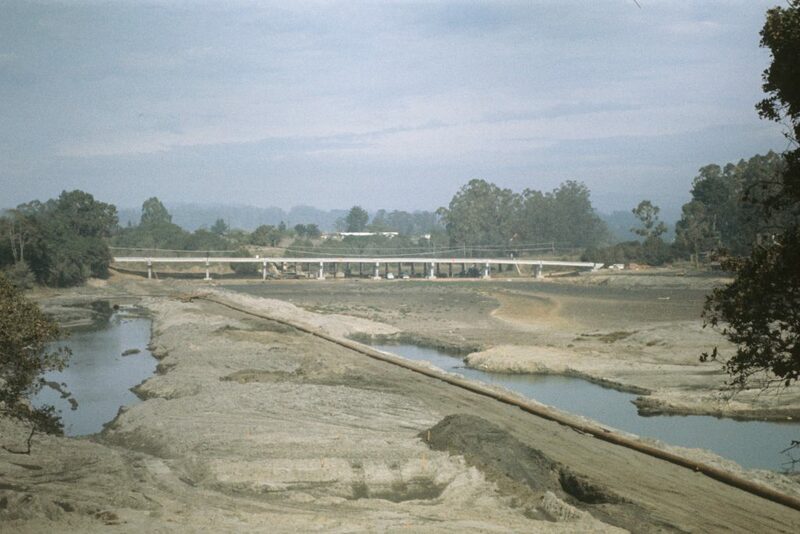 The studies were positive, additional state loans of $5 million were secured, and 455 more slips were completed in 1973.